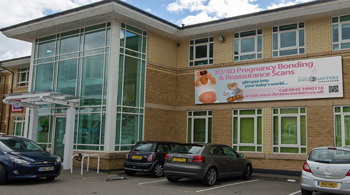 Located within Cardiff Gate Business Park, just 2 minutes from junction 30 of the M4, our Cardiff clinic is the perfect venue for your 4D ultrasound scan. 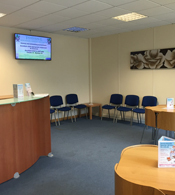 We are accessible from all over South Wales and beyond – please call our reservation team on 02920 732671 to make an appointment. Exit the M4 motorway at Junction 30, signposted Cardiff Gate Business Park and Services. At the roundabout, take the second exit (signed Cardiff Gate International Business Park) into Malthouse Avenue. Go straight over the next two mini roundabouts, and take the next right (towards Mercedes Dealership) on to Mulberry Drive. Take the third left into Oak Tree Court and Caron House is the first building on your left. Please park in the First Encounters designated client parking spaces. Exit M4 motorway at Junction 30. At the roundabout, take the fourth exit (signed Cardiff Gate International Business Park) into Malthouse Avenue. Go straight over the next two mini roundabouts, and take the next right (towards Mercedes Dealership) on to Mulberry Drive. Take the third left into Oak Tree Court and Caron House is the first building on your left. Please park in the First Encounters designated client parking spaces. 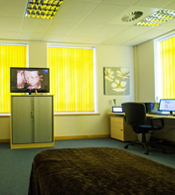 Caron House Cardiff Gate is approximately a 20 minute taxi ride from Cardiff Central or Newport train station. Cardiff Bus Service X59 travels between Cardiff Central Station and Cardiff Gate Business Park. Designated car parking spaces are available immediately in front of the building. Please park your vehicle in one of the labelled First Encounters spaces and advise reception of your registration number upon arrival.